Eating disorders are often misunderstood and commonly go undetected by clinicians. These illnesses wreak havoc on quality of life and carry the highest mortality rate of all of the psychiatric illnesses. Primary and secondary prevention, and early detection and intervention are crucial, and yet most patients present for specialized treatment when the disorder is most severe, dangerous, and debilitating. Diet culture, health fads, social media, lack of clinician training and confidence, and prevention efforts aimed at obesity all may trigger and exacerbate disordered eating and eating disorders. This workshop will review the importance of assessing eating behavior, as well as why, when and how to do this in practice. We will review common red flags and risk factors so attendees will be better equipped to quickly identify those at risk. This workshop will provide an overview of eating disorder treatment research and will cover basic tenets and practices in evidence supported interventions for eating disorders such as Family Based Treatment, Cognitive Behavior Therapy, Dialectical Behavior Therapy and Acceptance and Commitment Therapy. The ultimate goal of this workshop is to help attendees identify when eating concerns are budding or present and to build confidence to intervene as quickly and effectively as possible. gain a better understanding of nutrition on behavioral health, including impact of dieting and malnutrition. gain confidence in their understanding of various DSM-IV eating disorders symptoms and common comorbid conditions. be able to identify risk factors and red flags that may increase vulnerability to, or suggest the presence of, an eating disorder. have a clear sense of what to do and what not to do, based on the data, when it comes to eating, weight and shape concerns for clients, family members, and themselves. have a strong understanding of the most important goals in eating disorder treatment and how to move towards these goals using evidence based practices. learn when it is necessary to refer out to specialized clinicians and/or higher levels of care for treatment. 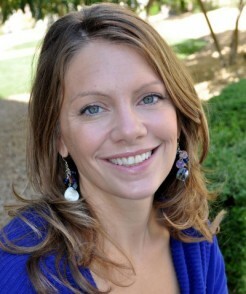 Dr. Lindsey Ricciardi has been involved in eating disorder research, clinical practice, and education for 18 years. She completed her internship and fellowship at the University of Chicago Hospitals Department of Psychiatry Eating and Weight Disorders Program and has been the clinical director of two multidisciplinary outpatient eating disorder programs during her career. She is certified in Family Based Treatment for eating disorders and has been comprehensively trained in the application of Dialectical Behavior Therapy and Cognitive Behavior Therapy to eating disorders. Dr. Ricciardi has worked with hundreds of clients with various types of eating disorders across the age, gender, weight, ethnic, and socioeconomic spectrum. She is currently in private practice specializing in providing evidence based treatment for eating disorders. She loves teaching and training and serves as adjunct faculty at UNLV in the Department of Clinical Psychology. There are two parking garages across the street (west side on C St) and the building on the east side. There is also 2 a hour parking on the street. The parking police are very vigilant about the 2 hour parking limit.